One of the greatest fears of getting older is the loss of cognitive brain skills leading to Alzheimer’s disease and dementia. While the pharmaceutical industry spends billions researching new possible treatments, a new study from Chicago's Rush University Medical Center may have found an answer: leafy greens. Their ongoing study involves 960 people between the ages of 58-99. According to their results, people who ate 1-2 servings of leafy greens a day had brains that tested 11 years younger than those who didn’t. 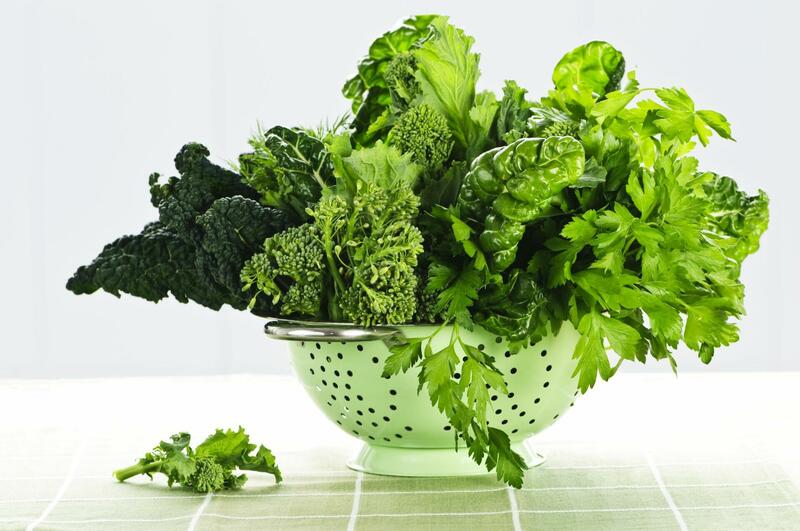 A serving of leafy greens was defined as either a half cup of spinach, kale, or collard greens, or one cup of lettuce. The study took into account other factors that could affect brain health, including diet, smoking, weight, and other lifestyle factors. While researchers note that it cannot yet be conclusively proven that leafy greens will reduce or slow dementia, a clear association was established between consuming leafy greens and brain health. It is thought that the high availability of such nutrients as folate, lutein and nitrate in these greens are responsible for this beneficial effect. One of the easiest ways to get the maximum amount of these nutrients from leafy greens is to juice them in a cold press juicer. Slow speeds don’t harm the vital nutrients, vitamins, and minerals unlike high-speed centrifugal juicers or blenders. A cup of spinach can easily be added to any juice and the flavor is very mild. We’ve found spinach to be a great complement to a basic carrot-apple juice. In our tests, the best juicers for leafy greens are twin-auger juicers or horizontal single-auger juicers. If price is no object, the Angel twin-gear juicer does an amazing job. A versatile mid-priced choice is the Sana EUJ-707 single gear horizontal, our most popular model. Finally, the Vidia SJ-002 is a great value-priced selection with some high-end features.